Ingrid is a trans woman. "I am first and foremost a musician, not a trans woman. So many people just define a person as trans and then loses interest in him or her. But my gender identity is just that - my gender. That's not all there is to me". 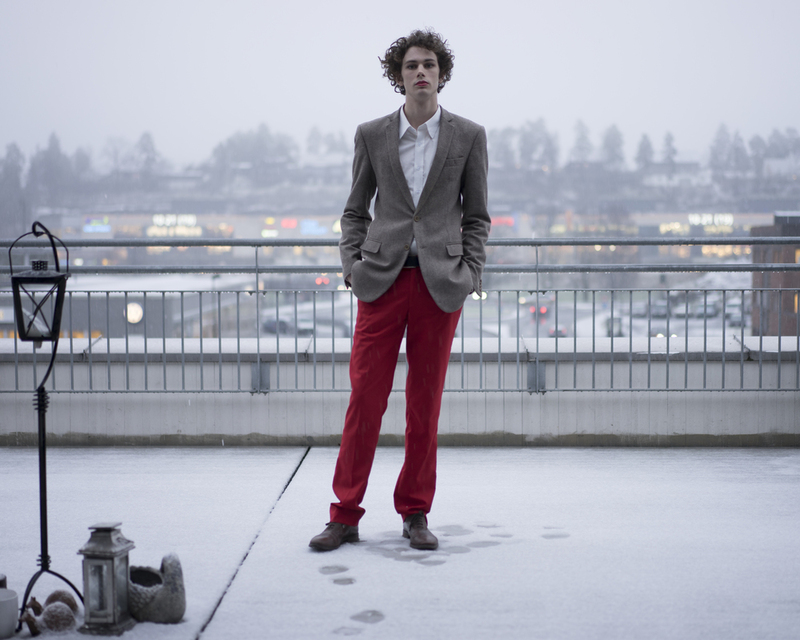 Gøran is a cis man who opposes the limited category of "male" by challenging the norms. He wears skirts and studies mechanical engineering. Sara Vienna is a cis woman and identifies with that. At the same time she doesn't believe in gender roles, and has both masculine and feminine sides. In general, she thinks and behaves like a 'traditional' man, interrupted with frequent feminine expressions. Sometimes she will even dress up as a very feminine womyn, all according to mood and feelings - which are diverse and fluid. Vanessa is a cis-woman. "I feel so lucky to have been born in a body I identify with and not having experienced the stigma gender non-conformig people exerience. I believe the gender roles we surrond ourselves with are unhealthy and do my best to oppose them". Jens is a cis man who has a masculine expression, but likes wearing make-up. "It's unfair that boys can't wear make-up. I cross-dress for Halloween, but because of the stigma I don't dare wear make-up in public". Peter is a man. Except for at work where he has to wear uniform, he usually wears traditional feminine clothing. He wears his hair in beautiful long braids and sees the stigma around gender expression as boiling down to misogyny. Luca is a trans man. He recently had chest surgery. "It is nearly impossible to get treatment covered by national health care, it takes years and is a great psychological struggle. People who can afford it go abroad to private clinics instead." Kai Vetle is a trans man who has been doing gender affirmation procedures at the state hospital for the previous five years. This day he got the happy news that he has been scheduled for gender affirming surgery. Bendik is a cis man. "If I were in a profession that traditionally didn't have many male workers, I'd make sure to rub it in everybody's faces. I've been very lucky not having to face stigma and harassment because of who I am". Silje-Håvard is trans. S/he does not want to define hirself as neither male nor female, but trans. "I am both male and female, or something in between". S/he varies between masculine and feminine gender expression, and her name consists of both a traditional male and a traditional female name. 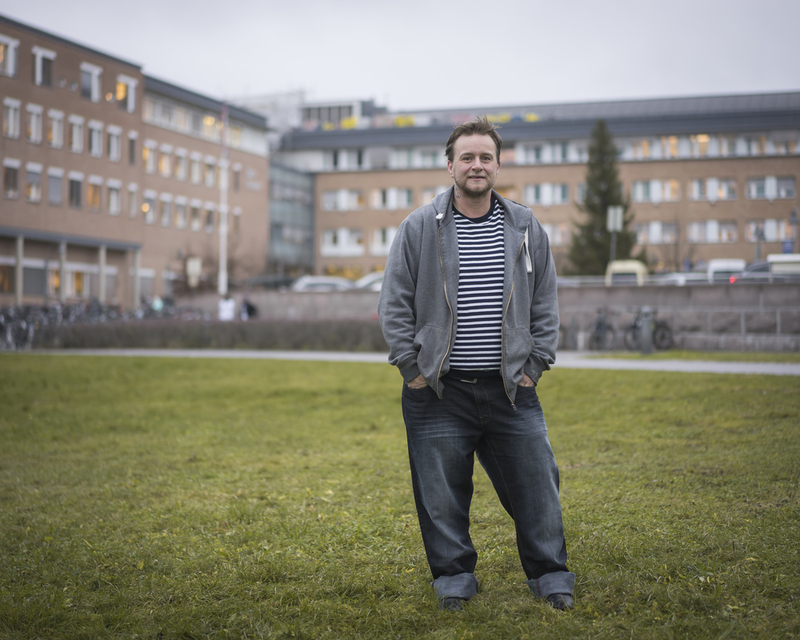 Christer André is a trans man, and feels comfortable in the female body he was given at birth. He does not wish to alter it. Pia is a trans woman. She has only ever lived as a woman in secret. Except for online forums, only one person knows her true identity as a woman and in the outside world she has always been seen as a man. Only with the curtains drawn inside the privacy of her own home can she be herself. She has been taking hormones for a year and with her growing breasts she finally feels in her body the woman she is. She will never tell her family and friends. Veronica is a cis woman. She has, because of her masculine expression, been receiving much harassment, at times choosing the men's room instead of the ladies' room at bars to avoid comments. "It's just easier. Even though I am a cis-woman I am not always accepted as one". Miki defines themself as genderqueer. At times they identify as a womyn, at times as male, both and sometimes as none of the above - but they always identify as femme (feminine). "It's ridiculous that being feminine or masculine seems to reflect what gender you identify with in our hetero-normative, binary society. I know it will be the future when people see their biological bodies as vessels and gender is more connected to the soul and how you relate to the world. To me, gender is fluid. Luna Andrine is a trans woman. "As of now I cannot travel abroad because my passport photograph looks nothing like me. Even if I took a new photo, my gender would still be listed as "male" and that combined with my feminine name would only lead to confusion".